If you have ever been in the position to need a Home Healthcare Worker for you or a member of your family, you know the angst of trying to hire the best one for your needs. You need to know that they possess the necessary medical training to provide the best care and you want to be able to trust them in your home. A tall task indeed. I found myself in this situation. I had surgery and was sent home with bandages that needed changing and an open wound that required monitoring. Fortunately, I was able to find a caregiver that was knowledgable and had been required by her agency to undergo a thorough background check. That certainly helped alleviate my worries. While federal laws governing Medicare workers require background checks on all their employees, workers hired through private agencies are not governed by the same laws. And many states either have limited or no legislation in place to require them. Currently, 10 states require no background checks at all (Alabama, Connecticut, Georgia, Hawaii, Montana, New Jersey, North Dakota, South Dakota, West Virginia, and Wyoming), while others have spotty or inconsistent rules. This puts anyone needing the services of home healthcare workers at risk. A recent report from the Office of Inspector General, Department of Health and Human Services, highlights the variety of state requirements. 41 states have legislation in place requiring screening. However, what types of criminal records would prohibit employment and the sporadic existence of follow-up checks are cause for concern. 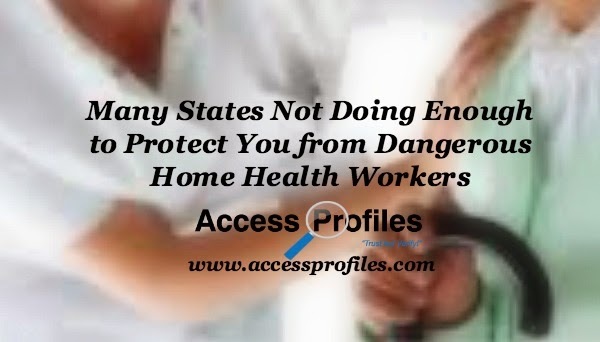 Many private home care agencies are pro-active and choose to screen their applicants. However, without formal background check requirements, what they check is at their discretion. While it is definitely encouraging that many states have, or are planning, mandated background checks, I believe uniform background check requirements on anyone providing home health care across all states are in our best interests. Barring anyone convicted of violent or drug related crimes from employment as a home healthcare worker is a start. It is also important to prohibit anyone who has a past record of abuse or neglect from this type of work. (You can read more on my thoughts about protecting our elderly and other vulnerable from abuse here). The next step would be to enact laws requiring regular reviews of all home healthcare workers. Including a safe and efficient way to file complaints and resources to investigate the allegations is key. It is also important to require that home healthcare workers undergo subsequent criminal screenings, ideally at least every 2 years. 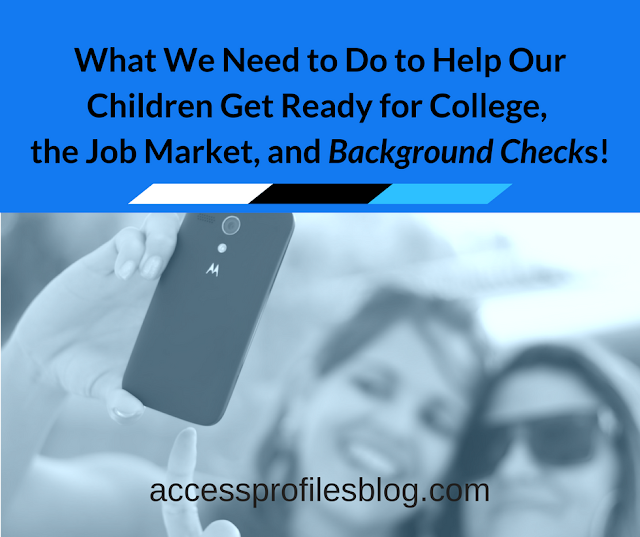 Making sure that they are not convicted of any targeted crimes after the initial background check is crucial. The bottom line is that the safety of anyone needing home health care should be our top concern. We need to trust that the people who come into our homes to care for us, often at our most vulnerable, are qualified and safe. And making sure that all states are on the same page when it comes to that protection makes sense! I can help you ensure the safety of your family. By screening anyone who comes to work in your home, you will have taken an important step in protecting what matters most. Find out more by visiting my website, www.accessprofiles.com, and blog, www.accessprofilesblog.com. 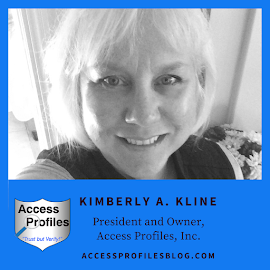 I also welcome emails at accessprofiles2@comcast.net! Small Businesses Need to Band Together!